Amid the striking coastal desert of Peru is the Paracas National Reserve, a protected natural area known for its wealth of marine wildlife and dramatic shoreline of wind and wave sculpted rock formations. Only a 4 hour drive from Lima, the reserve is well worth a visit and easily combined with other Peru highlights such as the Nazca Lines and Ica vineyards in 2-3 days. Below you can find 5 highlights of Paracas National Reserve and its surrounds, as well as insider tips on visiting from Aracari. It’s hard to pick our top 5 highlights of the 3,350 square kilometers (1,290 square miles) of Paracas National Reserve – Peru’s only marine protected area. Here there is a myriad of wildlife due to the cool water of the Humboldt Current favoring the growth of marine life and over 215 species of birds using the reserve as a key stopover during migration. The region teems with history and culture while the landscapes will take your breath away. 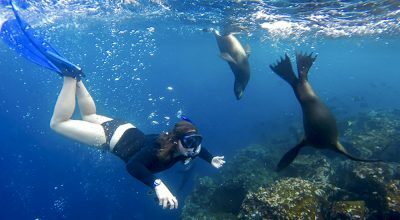 One of the main attractions of the Paracas National Reserve are the Ballestas Islands, an archipelago rich in wildlife. The islands are riddled with arches, tunnels and other wind and sea sculptures where sea lions, seals, Humboldt penguins and turtles converge with dozens of birds, among them albatross, pelicans and various seagulls. On a boat trip you will circle the islands to visit the diverse marine life (disembarking is prohibited to protect the wildlife), and also head to Punta Pejerrey. Punta Pejerrey is the northern most point of the isthmus and the best spot for seeing the Candelabro, a prehistoric candelabra-shaped geoglyph etched onto a sloping hill above the cliffside. A tour to the islands takes approximately two and a half hours, with about 45 minutes spent watching wildlife. Generally a boat trip to Ballestas Islands is a group tour, but as part of a longer tailormade trip to Peru, Aracari can arrange a private trip to the islands on a luxury yacht or speed boat for maximum comfort and flexibility. The beaches of Paracas National Reserve are stunning, though the craggy coastline and jellyfish mean they are generally not ideal for swimming. That being said, a small promontory has formed La Mina, a gorgeous beach for swimming, with clear emerald waters and horseshoe-shaped hills sheltering the area from the winds. Nearby is a viewpoint from which one can spot sea lions sunbathing on tiny islets. Other beaches worth visiting are the aviary haven of Mendieta beach located in front of Zarate Island and in the heart of the desert and Red Beach, or Playa Roja, where the picture-perfect shore is painted a deep scarlet color. 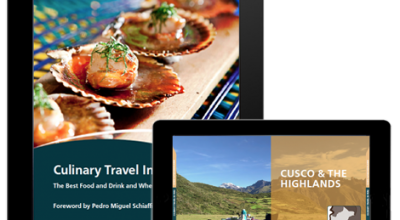 A highlight of a visit to Paracas National Reserve is the incredible opportunity for destination dining. Aracari can arrange private, open-air tented picnics on the shores of transparent waters, a drive across the desert dunes to a remote location where small plates await spread across a gorgeous textile blanket, and a sunset luxury yacht cruise through the bay offering champagne and fresh seafood appetizers. Paracas is notoriously windy, with average speeds of 15 kilometers per hour. The top gusts, known as ‘Paracas winds,’ can reach up to 32 kilometers per hour. The combination of strong waves and wind has sculpted the landscape’s dramatic rock formations. The rock formations create incredible landscapes and photo opportunities for visitors. The coastal desert area around Paracas National Reserve is the home of the pre-Inca Paracas culture, famous for its exquisite textile work. Visiting the region with expert guiding means an peek into the past – and exploring the world of a culture from over 3,000 years ago. There is a fascinating onsite museum that can be included on a tour of the reserve to better understand the history of Paracas and its ancient culture. The small fishing village of Paracas is the main entrance to the national reserve and is 260 kilometers (about 160 miles) south of Lima, a 4-hour drive along the Pan-American Highway. Our top tip for exploring Paracas National Reserve is to do so on a private tour. This allows you to visit key sits like the Ballestas Islands, beaches, and more on a different schedule from the mass tourist groups. For example, while everyone may be scheduled to visit Ballestas Islands at 8am, you can head there at 10am and have what feels like the whole ocean to yourself! The reserve is best visited in combination with other nearby highlights of the region such as Nazca and Ica. In Nazca take a flight high above the iconic lines that have been etched into the desert for over 2,000 years. 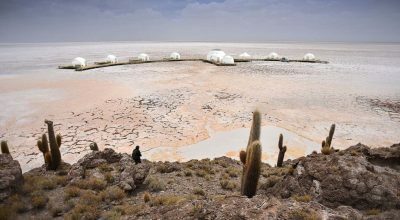 In Ica spend the day sampling the Peruvian national spirit, Pisco, at Tacama – South America’s oldest vineyard, or whizz across the desert in a dune buggy and test your skills at sand boarding. 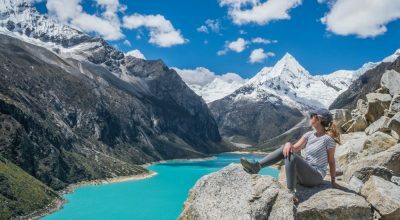 Check out our Amazing Andean Adventure Itinerary to see how to best combine these destinations (and other key sites like Machu Picchu) or contact us to start planning a tailormade journey. Our top pick hotel in Paracas is Luxury Collection Paracas, with La Hacienda Bahia Paracas as a close second. Both are ideally located away from the hustle and bustle of town, but close enough to key sights to avoid extensive travel time before and after activities. The coastal desert of Paracas is one of the driest areas in South America – the annual average temperature is 24ºC (75ºF), and the sun shines almost all year with little humidity, making it a year-round destination. But when you visit don’t forget a jacket to protect you from the strong winds that are native to the area. Contact us to start planning a private, tailormade trip to Peru including a visit to Paracas National Reserve!